In this guide, we'll be introducing the full gamut of web solutions, starting with tools that evaluate your entire site traffic, and ending with techniques and best practices for understanding the individual user. 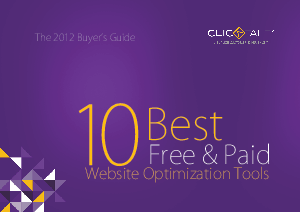 At each step of the spectrum, we've handpicked the best free and paid tools that you should be using. Generally, the free tools will offer enough basic functionality for small businesses and individuals who need great feedback at a low budget. The paid tools ont he other hand, offer advanced features and functionality vital for large businesses and enterprises, and are definitely worth the money if you can afford it.